A floral pick is a great way to add charm and whimsy to your floral arrangements, gift baskets, or gift bags. 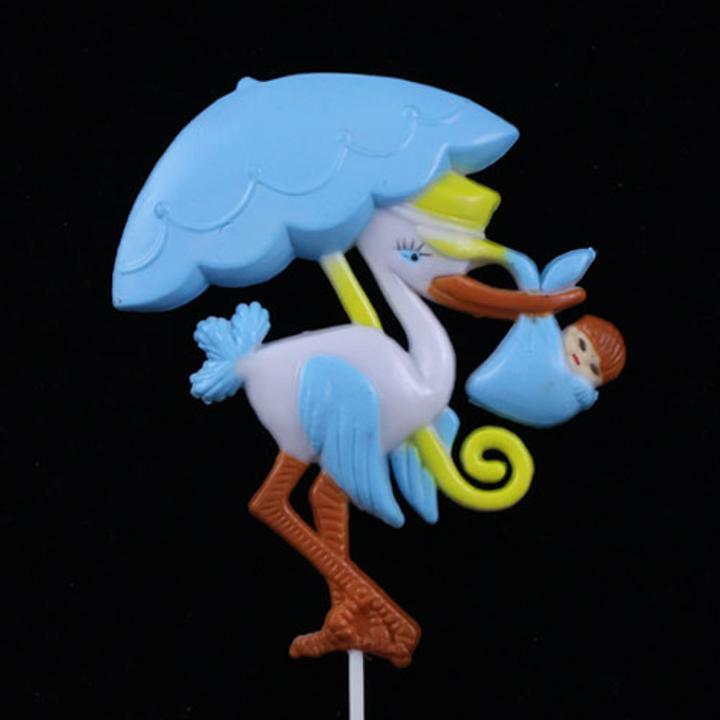 This package contains 12 adorable light blue picks featuring a stork flying under an umbrella carrying a sweet baby boy. The design portion of the pick measures 4.5" x 3.5" with a 9.5" stem. Cake picks add a special something to your baby shower or baby themed events.